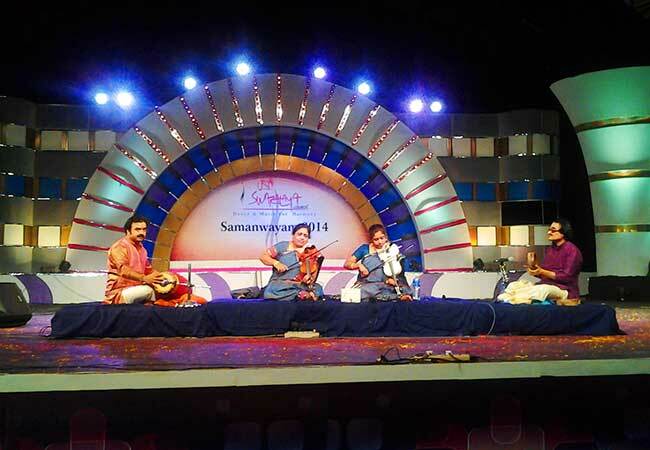 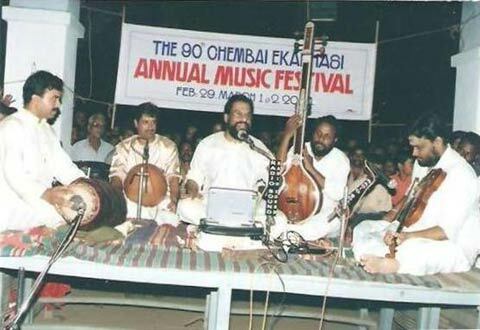 Guruvayur Chembai Music Festival during Navarathri season is one of the major events in carnatic music and lasting 15 days, held in Kerala every year. 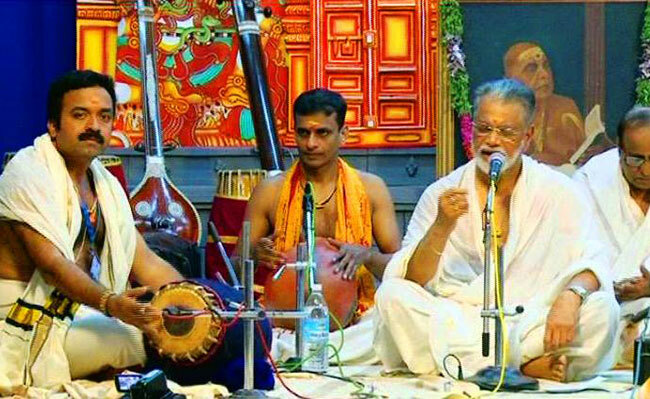 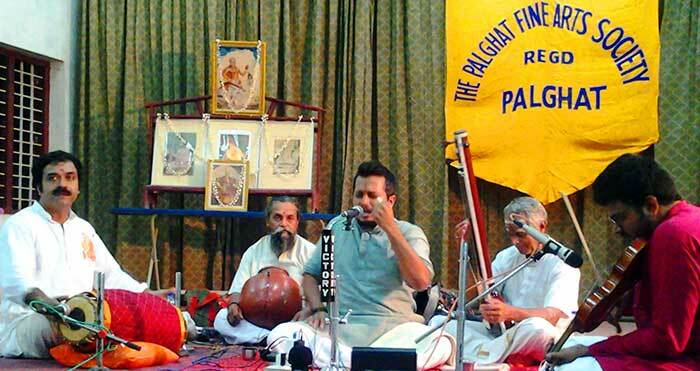 Dr. Kuzhalmannam Ramakrishnan has been supporting the whole event from 25+ years, with a wide range of Mridangams tuned to set to various artistics performing for the event. 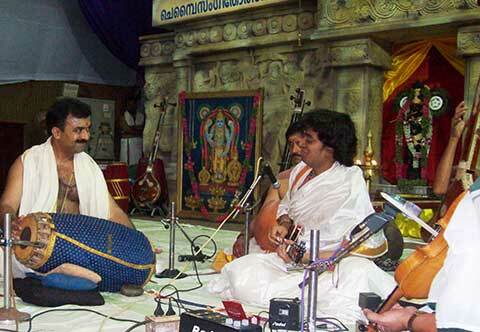 This attitude imparts great motivation to the upcoming artists and also shows his simplicity & devotion to his profession. 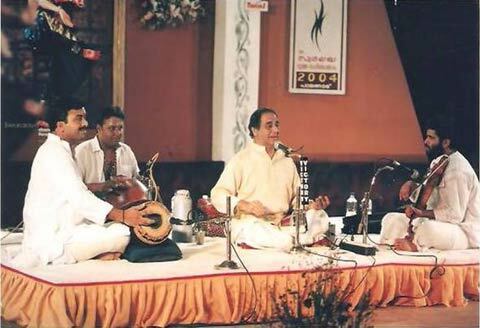 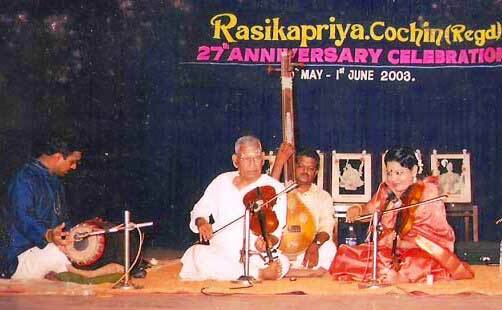 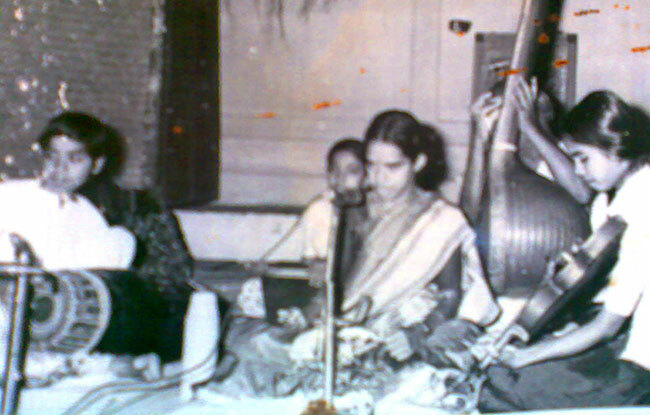 Securing as Top Graded Artist in AIR, Doordarshan (Prasar Bharathi), Dr. Kuzhalmannam Ramakrishnan has accompanied the legends in carnatic music industry, like Madurai.T.N.Seshagopal, T.V.Sankaranarayanan, Dr.N.Ramani,Mysore Doraiswami Iyengar, M.S.Gopalakrishnan, Dr.K.J.Yesudass,T.V.Gopalakrishnan, Kadri Gopalnath, Neyyattinkara Vasudevan, Bombay Sisters, Dr. N.Rajam, U.Sreenivas, P.Unnikrishnan, Sudha Ragunath, T.M.Krishna, Sanjay Subramaniam, etc.